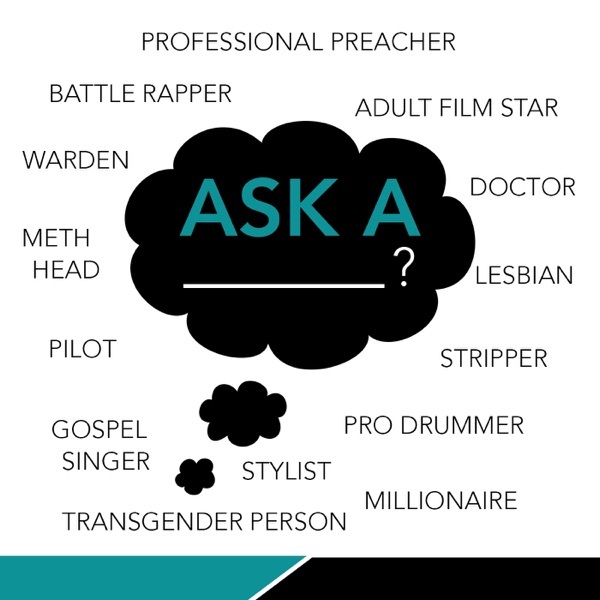 Ask A is a podcast where comedians KevOnStage and Big Irish Jay ask a guest questions that the average person would not usually have the opportunity to ask them. In today's episode Jay and Kev ask Jessa Reed about her life as a Meth Head. In today's episode KevOnStage And BigIrish Jay ask Charrise Lane what its like to be a Black Trump Supporter. The Ask A show begins February 4th! We take questions from the internet and ask them to people you wouldn't ordinarily get a chance to have a conversation with. It's a place for everyone Grow Learn Understand for Everyone. That's the GLUE! With your hosts @BigIrishJay & @KevOnStage.